Today's giveaway is sponsored by the lovely Tennessee of Bear Pawlish! I've seen some swatches of Tennessee's products, in other words, HOLOS around the nail polish community and I'm very excited by what I've seen so far! 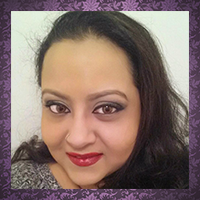 As always, along with the giveaway, I will have an interview AND my very first review of some of her products up for you all shortly! For this giveaway, Tennessee has generously offered 3 winner's their choice of 2 full-size polishes from her store! The Goblin King looks amazing!! You are so awesome for doing this. :) Thanks Babi for the opportunity. Also, I think I would love to have "Gimme back my bullet." I love Apple Grass, Nevermore, Dance Magic, and Gimme Back My Bullet! Callie's Lustful Orchid & Wha'd Ya Expect Faries To Do? Thanks so much Babi & Teni from Bear Pawlish!!!! I love all the holos! But You Aint Limon and The Goblin King are my faves! I love Bear Pawlish! Next on my wish list is Apple Grass and Haloki. I would love to win Ultra Violet and Dance Magic. Thanks Babi! You know I love my holos! I love Haloki! Thanks so much for the giveaway! AWWW! YOU GUYS MADE ME INK! You Aint Limon' is awesome, I'd love to own that! Thank you for the giveaway! 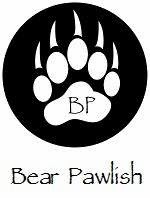 I love bear pawlish! I have been wanting maleficent and wha'd you expect fairies to do? Oohhhh, would love to have Holo Back Girl! and Awww! You Guys Made Me Ink!